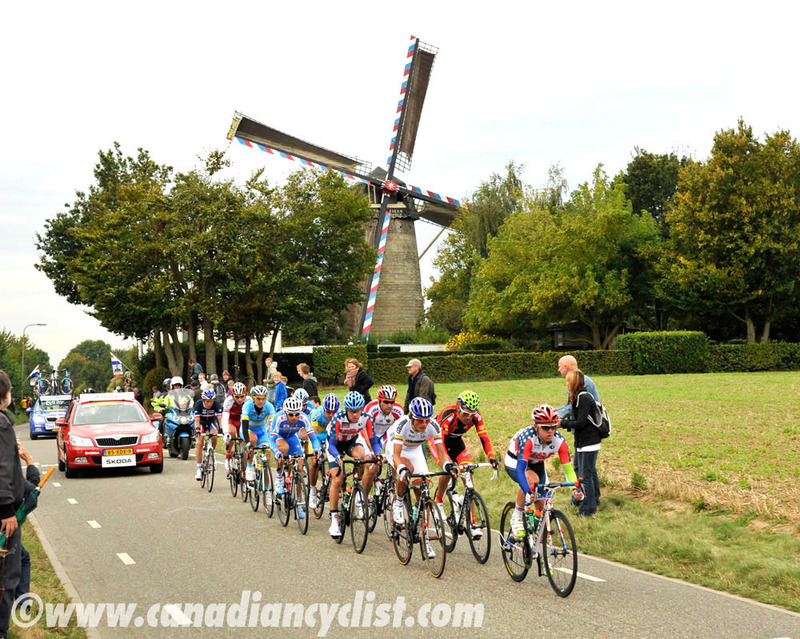 The 2012 Road World Championships in Valkenburg, Netherlands, concluded on Sunday with the Junior men and Elite men road races. Matej Mohoric (Slovenia) took the Junior title, while Phillipe Gilbert gave Belgium the Elite title. 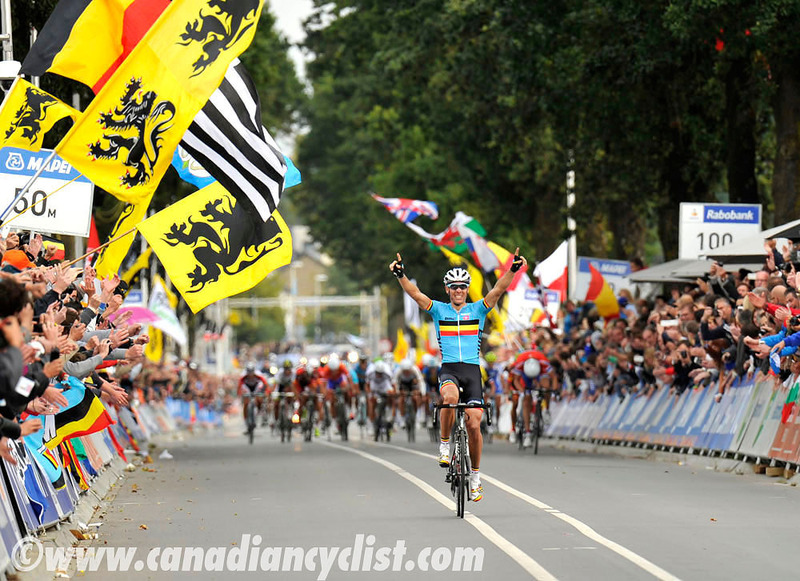 The 267 kilometre Elite men's race began in Maastricht and took a weaving 100 kilometre run through the Limburg region that is hosting the Worlds, touching on many towns and climbs in the region before hitting the 16.1 kilometre circuit for ten rounds. A group of 11 were allowed to escape and entered the circuit with three and a half minutes. In the group were Timothy Duggan and Alex Howes (USA), Winner Anacona (Colombia), Pablo Lastras (Spain), Dario Cataldo (Italy), Jerome Coppel (France), Luka Mezgec (Slovenia), Vladimir Isaichev (Russia), Vitaliy Buts (Ukraine), Fabricio Ferrari (Uruguay) and Gatis Smukulis (Latvia). 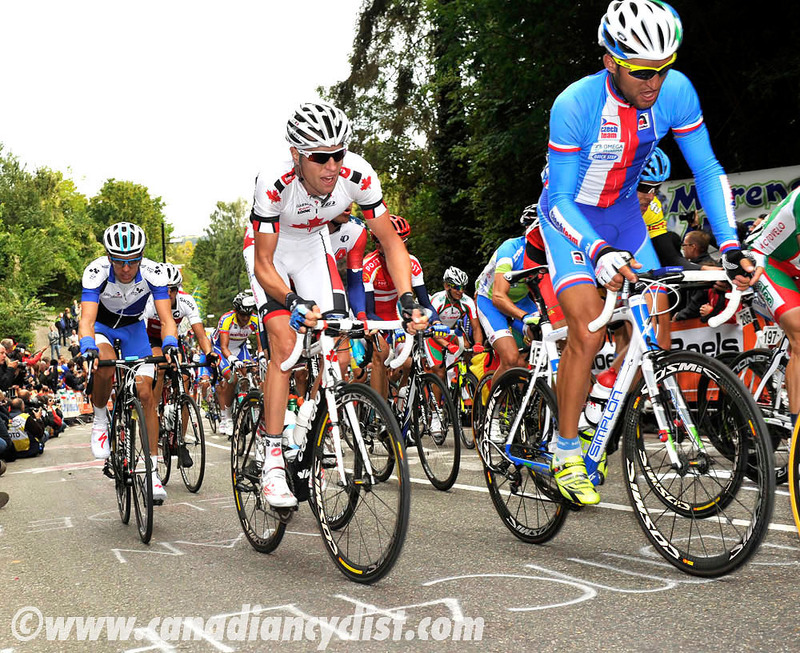 A group led by Juan Antonio Flecha (Spain) managed to jump across to the fading leaders, and was joined by Flecha's teammate Alberto Contador. This immediately sparked a reaction from the Belgian and Dutch teams, who began working to reduce the gap. It looked like the leaders would get caught by the start of the eighth lap, but a large crash in the middle of the peloton saw the chase falter, and the catch was made until just before the start of two laps to go. At this point there were still 70 riders in the bunch, and the top teams of Spain, Belgium and Italy had the numbers to chase down any breakaway attempts, so it looked like the race was going to finish in a sprint. Belgium and Italy both set up trains going into the base of the final Cauberg ascent. The Italians hit the climb first, but ran out of steam early, setting the stage for a massive effort by Gilbert that opened an immediate gap. The Spanish and Norwegians were slow to react, which allowed Gilbert to crest the climb with a 12 second gap, and the two-time winner of the Amstel Gold on this climb put his head down and motored to the line. Behind, Edvald Boasson Hagen (Norway) had managed to drop Alejandro Valverde (Spain) to solo in just ahead of the Spaniard for second. John Degenkolb (Germany) took the field sprint for fourth just behind Valverde.